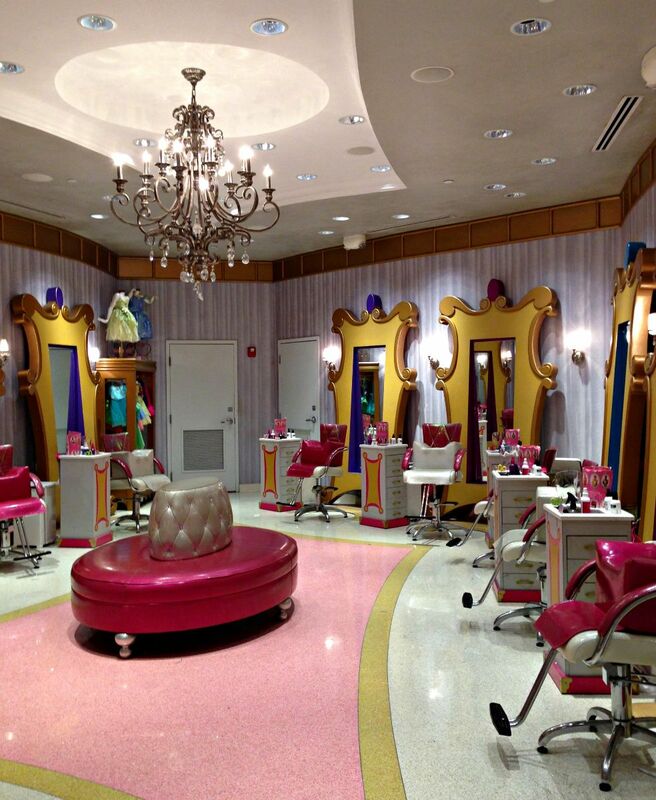 Just like stepping into that storybook, young guests to Walt Disney World may enjoy the royal treatment at one of two Bibbidi Bobbidi Boutique (BBB) locations: either at Downtown Disney’s World of Disney, or Magic Kingdom’s Cinderella Castle. The experiences and costs vary from package to package, and between the many options and add-ons, the process can be a bit confusing, so we’ve compiled a primer of sorts to present all the information from that’s out there into one place. Reservations are strongly recommended, and may be booked at 407-WDW-STYLE up to 180-days in advance. Makeover guests must be aged 3-12, and accompanied by an adult 18 or order. Appointments last 30-60 minutes, depending on package chosen. A credit card is required to hold the reservation (no charge at time of booking). If necessary, cancellation must be made at least 24-hours in advance to avoid a $10 processing fee. Appointments at the Magic Kingdom location require valid park admission, so be sure the day you are booking is a day you plan to be visiting the park. When calling to book a package, the reservation agent will confirm with you what location you are searching for (Downtown Disney or Magic Kingdom – they can check both) and then ask what package you are interested in booking. The Coach Package (starting at $54.95, plus tax) which includes: Hairstyling, Shimmering make-up, face gem, Princess sash and tote. The Crown Package (starting at $59.95, plus tax) which includes: Hairstyling, Shimmering make-up, face gem, Princess sash and tote, plus Nail polish. The Courtyard Package (starting at $94.95, plus tax) which includes: Hairstyling, Shimmering make-up, face gem, Princess sash and tote, plus Nail polish, Bibbidi Bobbidi Boutique T-shirt and Trendy tutu. The Castle Package (starting at $189.95, plus tax) which includes: Hairstyling, Shimmering make-up, face gem, Princess sash and tote, plus Nail polish, Complete costume of your choice plus accessories, One 6″ x 8″ and four 4″ x 6″ photos in a princess-themed holder. Once a package is chosen, the agent will confirm some notes with you, such as the request for guests to bring their own comb/brush (this is for the makeover recipient’s comfort) and that the guest be free of any scalp conditions for a minimum of 30-days (such as lice). The BBB is very busy – please make every effort to arrive on time, but before you go, you may want to make a stop at the restrooms – both BBB locations lack them. Guests are given time to change into their dress before the makeover begins, whether dress is purchased as part of Castle option, or purchased elsewhere/brought from home. 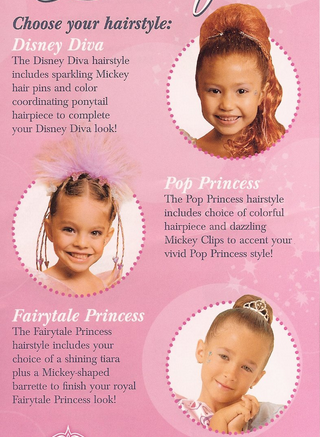 Once in the salon chair, guest has three hairstyle options: Fairytale Princess, Disney Diva or Pop Princess. There are PhotoPass photographers present during makeovers, but guests are allowed to take their own photographs as well. Additional add-ons are available to purchase, including an Imaging Package ($32.95 plus tax) which includes one 6″ x 8″ and four 4″ x 6″ photos in a special photo holder, as well as a variety of merchandise, including a Sparkling Bibbidi Bobbidi Boutique T-shirt or a Bibbidi Bobbidi Boutique parasol. The Downtown Disney location also offers additional hair accessories. Minnie Witch Dress, Part of Fall 2013 “Minnie Witch Package”. What are the hours of the BBB? Opening hours vary, but both locations generally close between 7 – 7:30 PM Updated schedule is online here: Downtown Disney/ Magic Kingdom. Edited to add: Hours will be extended to accomodate dates of Mickey’s-Not-So-Scary Halloween Party this fall. What Princess dresses are available as part of the Castle Package? Ariel, Snow White, Aurora, Belle, Jasmine, Cinderella, Tinker Bell, Tiana, Rapunzel, and Merida – subject to availability. Can we bring our own dress or buy one somewhere else? You certainly can! Here’s a post by Erin that’s all about dresses. Can we change our mind about what package we want? Yes, definitely! In fact, all options will be confirmed and discussed upon check-in. Are there any other packages/options? At the time of posting, a special Sofia The First package is available for booking – please note that this package is a current offering, subject to change, and not available at the Magic Kingdom location. Additionally, starting September 9, there will be a seasonal “Minnie Witch” package offering for $134.95 which will include all Crown Package components plus a Minnie Witch Costume and matching headband. Do I tip my Fairy Godmother-in-Training? Tips are not required, but if you are so inclined, tips must be in cash, as they can not be added to the bill and paid via credit card or room charge. As you can see, arranging a visit to BBB is just a tad bit more challenging that wishing on a star, but with proper planning and preparation, you can be sure that the result can be just as magical. 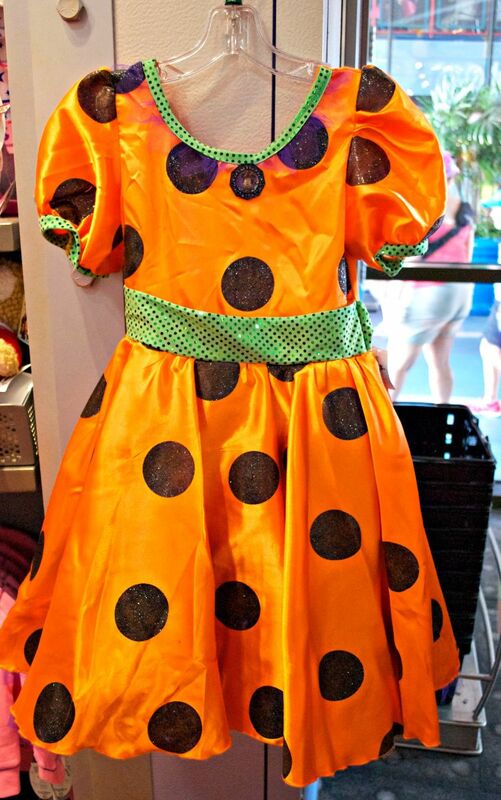 Have you ever visited the Bibbidi Bobbidi Boutique? What tips would you share? Never been, but still have questions? Leave a comment, we’d love to help! I was also told for October when we go that we have to have combs for the girls too. As well as having their hair already brushed. Can not wait to see how well this goes. Will be buying the Photo Pass Plus before we go and can pick it up in DTD. And since this will be our first stop of the trip I am glad we can Photo pass plus in DTD. When we did this in February, we tried to tip our Fairy-Godmothers-in-training but were told that they could not accept tips (we had tipped them the previous year). Interesting. We tipped in Dec.
That is correct. I worked at Disney and NO Disney employees are allowed to accept tips or gifts (other than a VERY small trinket or card). They are going against policy and up for termination if they accept either. – Unless the rest of your party just *really* wants to sit and watch this process for over an hour, arrange to meet them somewhere afterwards. There is not enough seating for whole families. – If handled carefully, the hairstyle will last for at least 2 days, maybe longer. Consider bringing a cloth (not plastic) old-lady type hair cap to sleep in and it will last even longer. I found one at the drugstore. The plastic ones are too hot and sweat makes the hairspray sticky. – Don’t plan to do this the afternoon before your water park trip unless your daughter won’t care if it is ruined. – If you already have a dress, bring or wear it there. Lots of girls do. No special dress is fine too. – Be prepared to wait (and wait). They are always running behind, and the appointment itself takes a long time. – It can be extra special if you book the BBB at MK right before your lunch or dinner at Cinderella’s Royal Table. Be sure to leave plenty of time for the appointment. – Take lots of pictures – she’s really a princess! PS: Hardly any boys go for the knight package here. You’ll find the boys at the pirate equivalent over at Pirates of the Caribbean. I had to read this post — the whole thing is just fascinating to me, as I have only boys. 🙂 Here’s a thought I’ll share, prompted by seeing many lovely little princesses post BBB… anyone else wonder why the danged hairdos are so incredibly tight? They look really severe and uncomfortable? Again, this comes from the mother of boys with perpetual bedhead. Is it maybe because of the Florida humidity? I get a headache just looking at those tightly pulled styles! BBB is one of those things that makes me cry. When I was a little girl, I would have died for something like this! And now that I have a little girl… she’s a tomboy, hates princesses and makeup and poufy dresses. Sigh. At least I got to take her to the Pirates’ League on the Fantasy for Pirates Night. She enjoyed dressing up as an undead pirate. My eldest did this last time we went and all 3 of my girls will be doing it next time as that’ll be the only year that they’ll all fit into the age range. My daughter got the princess package. She has very long thick curly hair. I thought for sure there would be tears; there always is when I try to comb it. But she didn’t even seem to notice it going up – she was dazed with all the pixie dust I guess. When I asked her later she said it didn’t hurt at all and she’s super sensitive. As a bonus, if you get that package and you just take down the bun but not take out the hairbands you’re left with a pretty good replica of Princess Jasmine’s hairdo, which my daughter thought was great. Frankly, I was just super impressed that they managed to control it; it must be fairy magic. My daughter is going for the first time on her 4th birthday. We are so excited. I can’t decide if I should bring a dress or let her pick. How much of the “experience” will she miss by having a dress already? Also, when it says accessories are included, what accessories are included? My girls really want to go here, but I do their up-dos everyday of our trips and bring costumes for them. I’m not a fan of the BBB hairstyles at all, but the experience with the Fairygodmothers in training and the beautiful setting looks magical. Is there a way to just get the make-up, nail polish, and hair glitter and skip the hair up-do part of it? Additionally, if allowed to do this, could I expect a much quicker appointment?